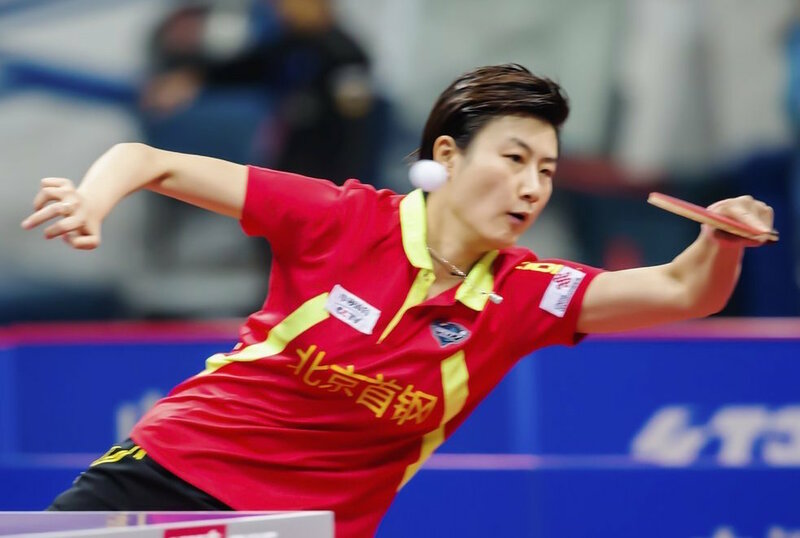 Following a powerful debut in the Seamaster Qatar 2016 ITTF World Tour against Lee Ho Ching, Grand Slam champion Ding Ning had to retire from the competition. Reason cited was poor physical condition. Chinese Team's coach Chen Bin revealed that the top seed is physically exhausted to compete. The Rio 2016 Olympic Women’s Singles title holder Ding Ning started off with a powerful performance in the Seamaster Qatar 2016 ITTF World Tour Grand Finals last 8th December. She imposed her authority over Hong Kong’s Lee Ho Ching in a solid score of four games to nil (14-12, 11-7, 11-5, 11-6). Unfortunately, that was the last match that the Grand Slam champion had to play in the competition. She was forced to retire from the proceedings due to poor physical condition. “Ding Ning is physically tired. That is why she had the fever. She was very anxious and uncomfortable.” Chen Bin, the coach on duty for the Chinese Women’s Team, said. During her match against Lee Ho Ching in the round 16, Ding Ning was already feeling uncomfortable. The Chinese top seed, at that time, already registered a high body temperature. Despite the uncomfortable feeling, Ding Ning was still very much willing to adhere with the competition. In fact, the decision to withdraw from the tournament was a last minute settlement. Coach Chen Bin narrated that Ding Ning was all set to play in the quarterfinal round against Germany’s Han Ying. “I still want to play.” Ding Ning said to her coach. Upon arriving to the stadium, the team’s physician checked Ding Ning’s condition. Her body temperature was 38.9 degrees. She was treated hoping that her fever will ease out after some time. Thirty minutes before the match, Ding Ning was checked again. Unfortunately, it didn’t have a very significant change. It was 38.7 degrees. Therefore, the team concluded with the decision that Ding Ning will retire from the proceedings. Her poor physical condition in Doha is reasonable. Ding Ning has been very busy since after the Rio 2016 Olympic Games. She attended a number of promotional activities for the team and the sport. Aside from that, Ding Ning also actively participated in the 2016 Chinese Super League under the management of the Beijing Team. Such tournament is no joke as she had to play in two matches in a week. The women’s Chinese Super League is scheduled to resume with its 15th round on next Wednesday, 14th December. Beijing might have to play in such round without their star player.